My good friend Lesley Téllez of the Mija Chronicles, Eat Mexico tours is in town to celebrate the release of her new cookbook, Eat Mexico: Recipes from Mexico City's Streets, Markets and Fondas. This Sunday, Lesley will join OC Weekly editor and author of Taco USA: How Mexican Food Conquered America and I for an Epic tacos crawl from Los Angeles to the OC featuring handpicked spots by Gustavo and myself that reflect the recipes in Lesley's new cookbook. 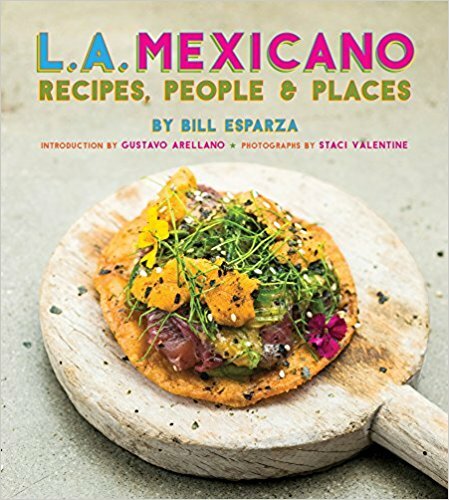 For the price of $125.00, you'll be well fed and receive a signed copy of Eat Mexico: Recipes from Mexico City's Streets, Markets and Fondas. Only a few tickets remain--who's hungry for street tacos?